Marcus is very smart in his own way and a well behaved youth. Marcus is a kind, sensitive, handsome, respectful, and caring child. Marcus is a very happy child as well. He loves to watch television. He is a very social child but also enjoys being alone at times. He loves to play outdoors, especially playing with his foster siblings. He loves to be around people. Marcus gets along very well with children and adults. He is polite, he likes to share, and he is a pleasure to be around. Marcus loves playing basketball, playing video games and doing crossword puzzles. He is able to be redirected easily. He requires structure and some redirection, and can follow through with directives. Marcus will do well in a family with two parents. He needs a family who will provide a lot of structure, safety, security, and a nurturing environment. His family will provide him with consistency, adequate supervision, and encouragement. Marcus needs a family who will provide him with positive role models, love, and affection. 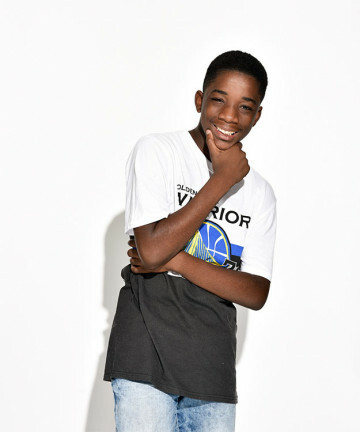 He needs caring parents who are willing to dedicate time to building trust and confidence.Marcus is capable of formulating attachments and deep love. Marcus will do well in a family who can shower him with patience and love.